"Let a Donegal jumper bring the luck of the Irish to your wardrobe (or just keep you warm). It’s knitted to a chunky weight to a warm and soft feel. These jumpers are knitted from merino wool with a flecked texture inspired by Ireland’s Donegal tweed fabric. Wear them with a country check or brushed cotton shirt." 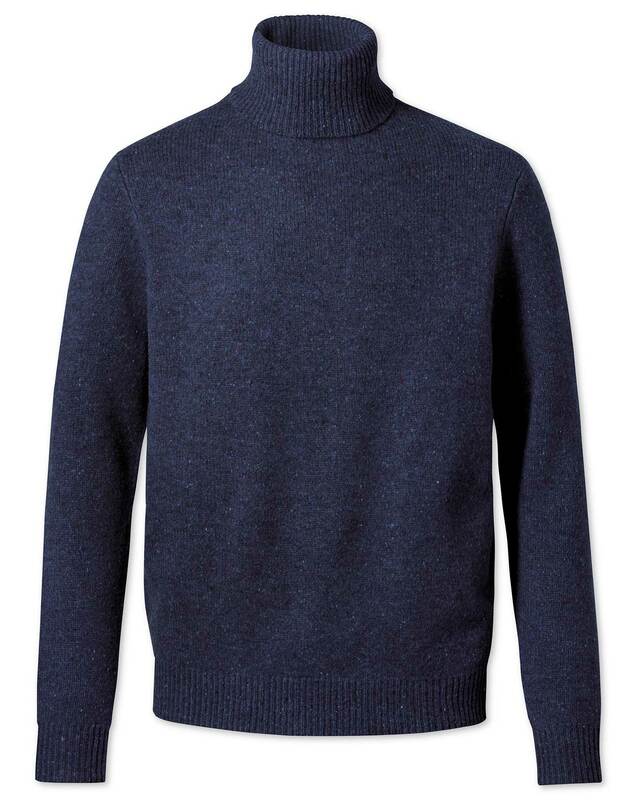 "Heavy-knit Australian-sourced pure merino wool sweaters – perfect for cold weather – and with a Donegal tweed-inspired texture for a characterful look."